At Logan Lane we are very particular about breeding and homing of puppies. We are announcing a rare opportunity for puppies at this time. We have selectively bred two of our top Rat Terriers to produce puppies that should prove to be top show quality and exceptional pet companions. At this time we do not know the exact number of male and females that will become available so we are taking applications for those who are interested in reserving. The sire is our Rock-E-Hill Tennessee and the dam is GG's Dancing In The Dark "Tessa". 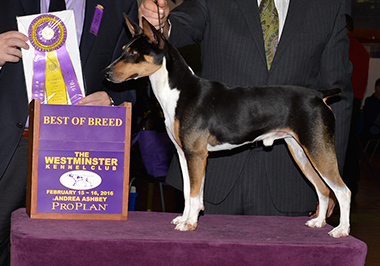 Tennessee, the #1 ranked Rat Terrier in the United States, took Best of Breed at the Westminster Kennel Club in February of 2016. He is currently Grand Champion Silver Level and working toward his Gold level. Tessa received her AKC championship before her first birthday. 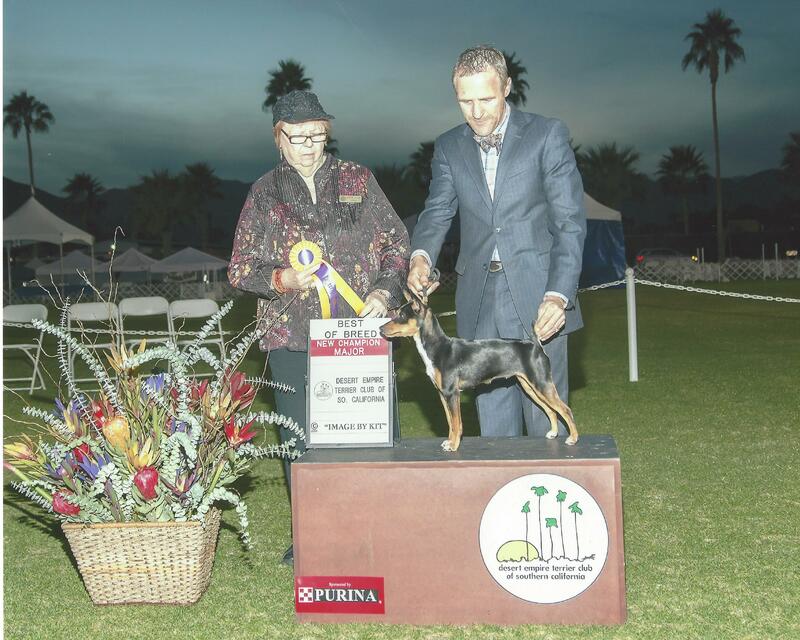 Dual registered with a seven generation AKC pedigree, Tessa is a remarkable Rat Terrier! Please contact Linda Hibbard at: Raterrier@aol.com for more information.